Artificial Intelligence (AI) has been a game changer for global businesses, opening doors to innumerable possibilities. With the integration of AI in businesses, the global economy is excepted to grow exponentially in the coming years. Although the introduction of AI into business strategies is considered a revolutionary idea, what most business executives struggle with is the proper application of AI throughout their organization in such a way that it generates maximum ROI and value. This gives rise of several questions, “How do we educate our staff about AIs? How can we acquire AI-trained employees? What is the most suitable AI strategy for our business? How do we certify our AI is trustworthy? Will there be new privacy and cybersecurity threats to deal with?”. The answer to these questions is different for every company. Business administrators must step past their fear of unknown territories and take a leap of faith into the world of AI in order to keep up with the ever-evolving world of technology. The first and foremost step for businesses is to scale their AI operations to boost decision-making and progressive intelligence for workers in every function and division. The key to building a solid AI strategy is having a diverse team, which includes individuals from the IT department, specialized AI experts as well as the business department. AI models have the power of improving already existing processes. The beauty of their algorithms is that the same algorithms are capable of solving multiple business-related problems. Hence, businesses can start off by ensuring the success of smaller projects and work their way up to bigger, broader projects based on the blueprints from the original success. 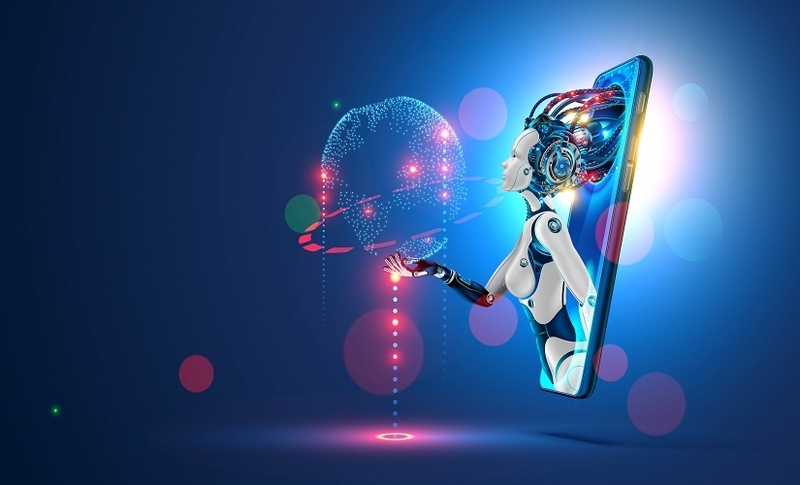 Another major AI intervention of 2019 will be the growing deployment of smart, predictive and self-learning HR technologies. The introduction of smart human resource management AI’s has been increasing this year with outsourcing from some of the biggest names in HR such as Talendtoday, Maya Systems, Text Recruit, and Workey etc. These companies offer complete HR functions through AI recruitment, headhunting, supply chain, logistics, compliance, retention and termination services. AI in HR solutions is the perfect answer to cut costs, avoid legal complications, boost productivity and help the company overcome its administrative challenges that often arise when a new venture is formed. With the accessibility of AI increasing year by year, AI has become a vital asset for businesses. However, the usability of artificial intelligence is complex, and errors are often made. The solution to this setback is creating three ranks of employees, each equipped with a specific skill set. The first rank of employees will be of citizen users. Company employees will be trained to use AI-enhanced applications and practice good governance of data. The second rank of employees will include business specialists who are trained to identify use cases and data sets. These citizen developers will work in close quarters with AI specialists and assist in building new AI applications. The third and final rank will be of data scientists who will be responsible for creating, deploying and managing AI applications. Whenever a business opts for a new stagey, naturally, apprehensions start to surface; same is the case with the integration of AI operations within businesses. Concerns about bias, privacy, cybersecurity, system ethics, governance over the AI and interpretability of how an AI can be trusted to make the right decisions arise. Accountability for each area must be established. For example, a web design company in Dubai, FME designs uses an AI desk to report tasks for clients and they take every possible means to make sure its templates are safe from infringement and its customer data is secure from any internal or external cyber-attacks. This requires robust management for allocating tasks and fail-proof security to keep them safe. AI can interpret data and convert it into useful information. However, in order to fully gain an advantage from this feature, data must be properly labeled first. Identifying, standardizing and labeling data is of the utmost importance in order for AI to recognize patterns and use them to form helpful intuitions about the future. This aspect is crucial in managing risk, enhancing classification of documents, automating customer operations and assisting employees in making appropriate decisions. Voice search assistants such as Siri, Cortana, and Alexa have been mainstreaming for quite some time. In the course of recent years, optimization of voice search assistants with AI has opened several new doors for business in every industry and sector. Businesses are now extensively using conversation AIs to recognize voice commands for their products. These AIs not only identify the user’s intent, but also provide relevant options based on the current status of the machine. With its rapid integration, 2019’s businesses will significantly benefit from its developing trends. The major impact of AIs on the global economy is expected from the consumer side rather than the business side. With AI technologies, businesses can create and deploy personalized, data-oriented services and products. AI’s interpretation of consumer data and repetition of patterns enables it to help businesses create strategies and forecasts that will help in producing higher quality, audience targeted products. Evidentially, it helps businesses in adopting consumer-driven strategies that will not only improve personalization for customers but also increase their revenues as more customers will be enticed to trade money for their convenience. Above everything else, Digital Marketing has been the biggest benefactor of AI development. Digital marketing has made leaps since the introduction of AI, transforming it from the primitive forms to a much refined and calculated source of content propagation. Google’s intensive investment into its AI algorithms has helped it automate all its online marketing protocols for organic as well as paid marketing. With the recent updates, Google AdWord manager will no longer require human run campaigns and will instead generate ads by itself and take it live automatically without any interference. This will further reduce management and QA costs and allow 2019’s businesses to easily create their digital footprint. Predicting models through AI is not just limited digital marketing. Many of these models help understand peripheral on the other end of the spectrum such as buyer intent, customer engagement, conversion rate, and even cart abandonment. AI has served in building predictive models to eliminate many of these challenges merchants face in understanding buyer behaviors. Predictive models are predominantly used in persona creation which plays a crucial role in forecasting upcoming sales, designing products, rebuffing UX glitches and providing an ideal customer experience. With predictive modeling business, marketers can transform from reactive to proactive planners and seal their leakages effectively. Aside from identifying and allocating data, AI has also proved its usefulness in generating new revenue streams. Using AI in daily transactions and customer activities help build big databases that most businesses in the industry need to design, deploy, market and sell their products. This allows the business to grow into a data source which its peers and new ventures can use to develop their marketing and sales strategies. Data-as-a-service is a sound proposition for diversifying revenues through AI while generating a value for their brand in the market. In 2019, many businesses are working on data building and some are already offering analytics for different industries and their sectors. The integration of AI with other technologies is a major development in enhancing data-driven business strategies. Converging AI with analytics, the Internet of Things (IoT), ERP, blockchain and quantum computing boosts the power of AI and results in smoother running operations. Although this convergence may prove to initially be a challenge for business executives, the benefits will outweigh any hurdles the company has to go through. Adopting DevOps techniques is one way of opening communication pathways between employees and in turn, successfully accomplishing the integration of AI with other technologies. In this tech-savvy era, business strategies continuously evolve in accordance with new technologies and trends that come The use of AI in the world of business has been a significant advancement in the course of history as more and more businesses are choosing to reap its benefits. With AI being democratized so rapidly, its proper application along with well-trained employees has become more vital than ever. Sohaib Khalid is an SEO Expert from FME Dubai. FME is a leading web design Dubai company, with over a decade of development and digital marketing experience. The post 11 Artificial Intelligence Trends Every Business Must Know in 2019 appeared first on ReadWrite.